It takes practice to learn how to be a good friend ― practice at being kind, supportive, trustworthy, and a good listener. For a four-year-old, a friend may be a regular playmate or a child they just met at the park. At this age, they can engage in cooperative play, but they are still developing the ability to understand other perspectives. They may assume that their friends think the same way they do ― and can get upset when a friend wants to play a different way. They may also need help introducing themselves or welcoming others into their social circle. Help children draw the connection between their kind, cooperative behavior and friendship. For young children, this might sound like, "Can you share your blocks with your friends? It's nice to share with friends"; "You gave your friend a hug when she was crying! That helped her feel better"; or "Let's help our friends clean up before we go home ― it's nice to help our friends." As the Daniel Tiger song reminds us, "Friends help each other. Yes they do, it's true." Playdates are not only fun, they are also a great opportunity for young children to practice friendship skills. A child's basic temperament is hard-wired. Some children are more cautious than others, eager to observe before diving in. Some children are more naturally comfortable with big groups and new social settings. If your child is on the introverted side of the scale, they might need support in learning how to interject themselves into a group at the park and they may prefer smaller playdates to big group activities. If your child is on the extroverted side of the scale, they may need reminders about reaching out and listening to the ideas of children who are less bold about speaking up. And all children need alone time sometimes to wind down and enjoy their own thoughts. 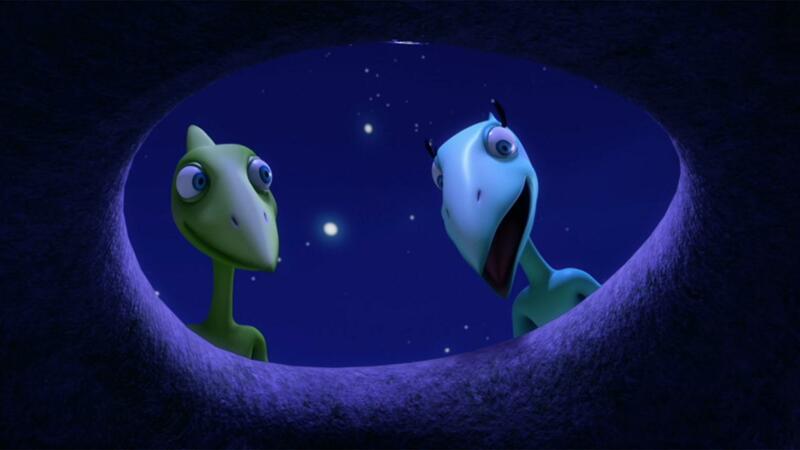 Frankie gives the dinosaurs a nighttime tour of his cave.